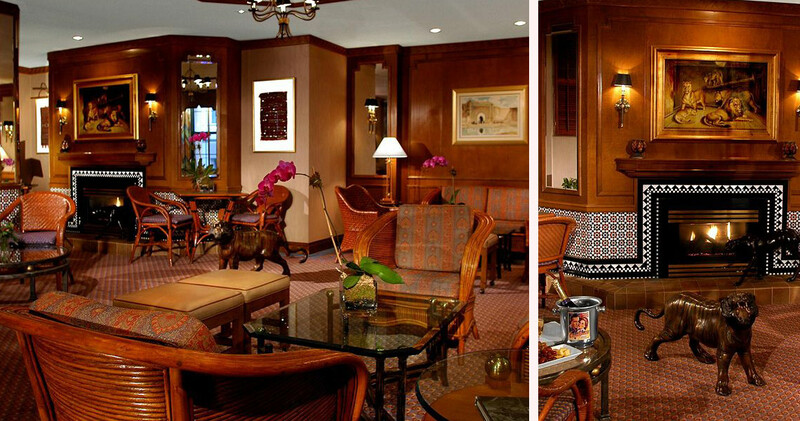 With warm, European-inspired décor, Casablanca Times Square is a luxury boutique hotel at the heart of Midtown Manhattan. Located in NYC’s theater district, Casablanca Times Square offers guests easy access to the clubs, restaurants and attractions of Manhattan. It is a European-style hotel with welcoming wooden décor, and the trendy, second floor Club Room creates a casual, lounge vibe in which guests can unwind amidst an abundance of books, newspapers, DVDs and music. 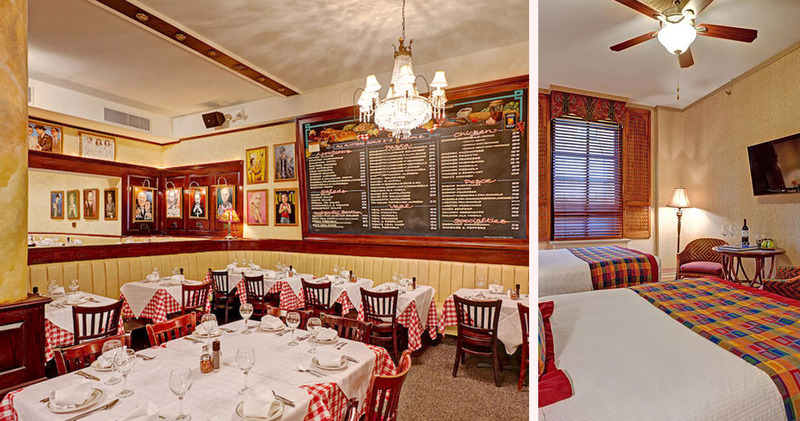 Casablanca Hotel Times Square New York also hosts complimentary wine receptions each evening, where guests can enjoy hors d’oeuvres, Prosecco, fine wines and cheeses. 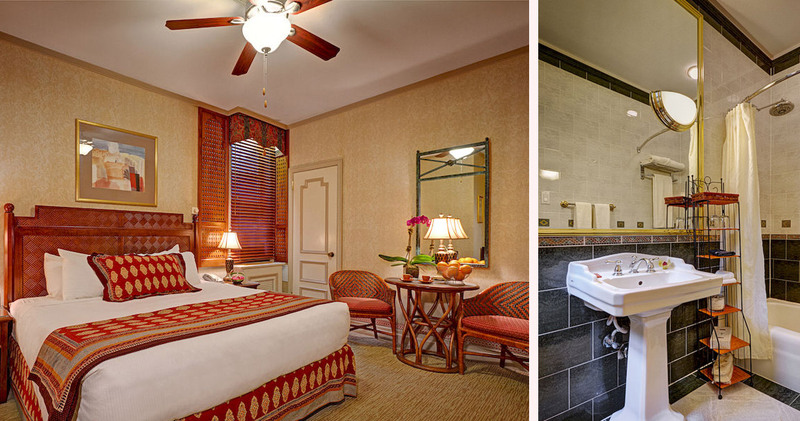 The European flair of Casablanca Times Square spills into every inch of its design, and the guest rooms are no exception. The custom furnishings include stylish wicker chairs and wooden window shutters. Every room boasts luxury pillow-top mattresses, 100% Egyptian cotton sheets and the hotel’s signature bathrobe and slippers. 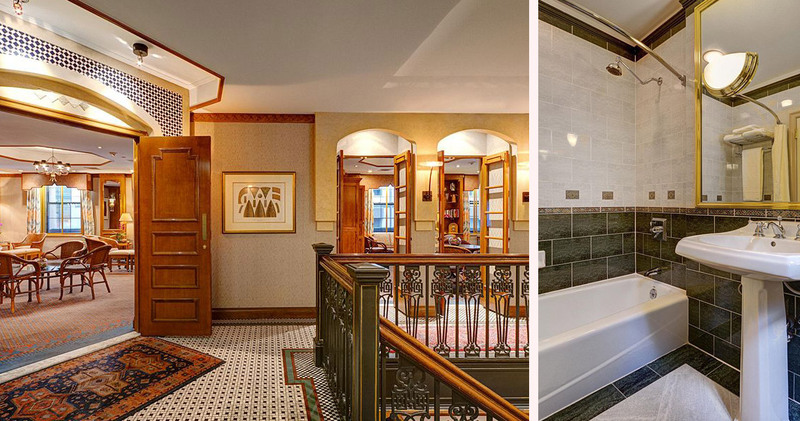 The bathrooms are spacious, with deluxe amenities from Baroness Cali in plentiful supply. 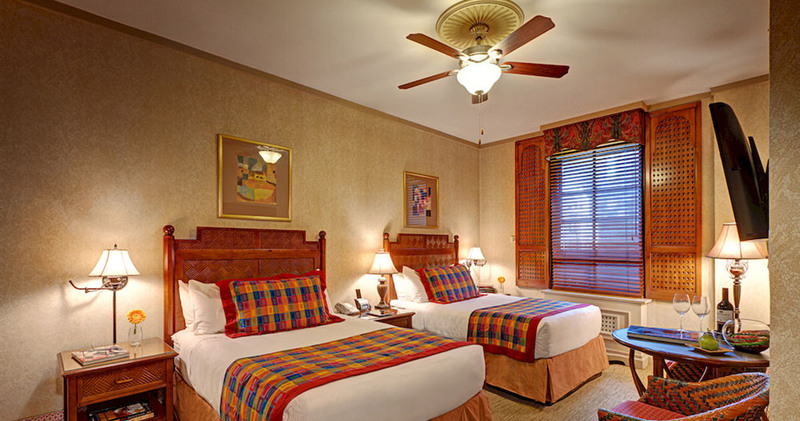 Upon request, guests can also access a range of complimentary amenities such as a hypoallergenic pillow, memory foam pillow, fleece blanket, white noise machine and space heater. Sleep Phones are even available, blocking unwanted sounds to aid deep and peaceful sleep. 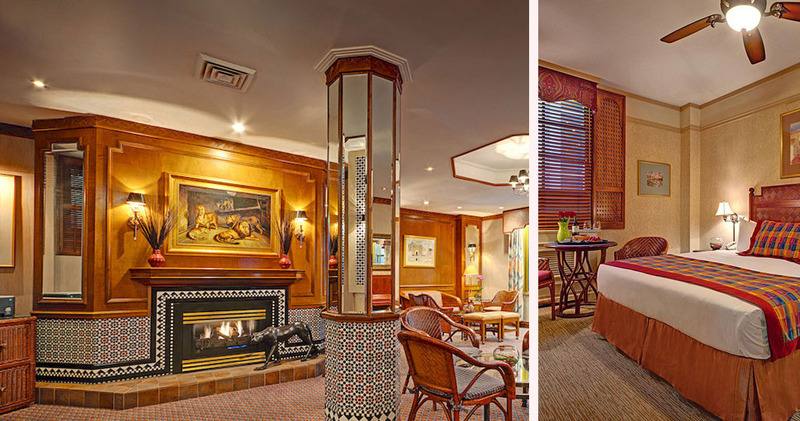 Casablanca Hotel Times Square New York is home to the large fireplace, colorful glass tiles and chic wooden paneling of Rick’s Cafe. 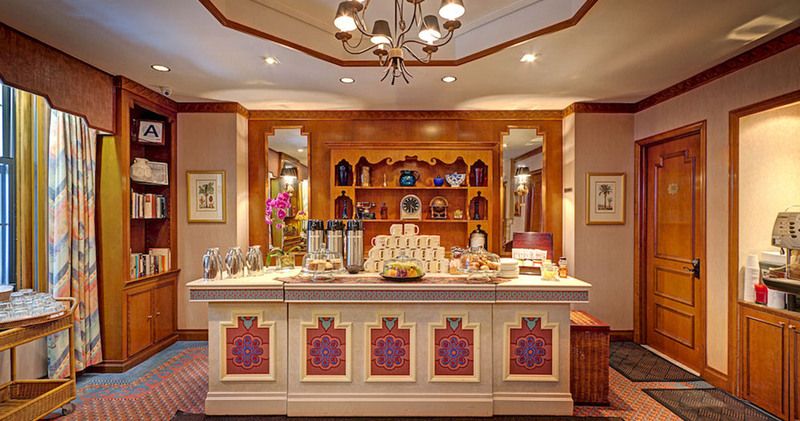 This popular cafe serves complimentary continental breakfast and refreshments including tea, coffee, fresh fruits and cookies 24/7. 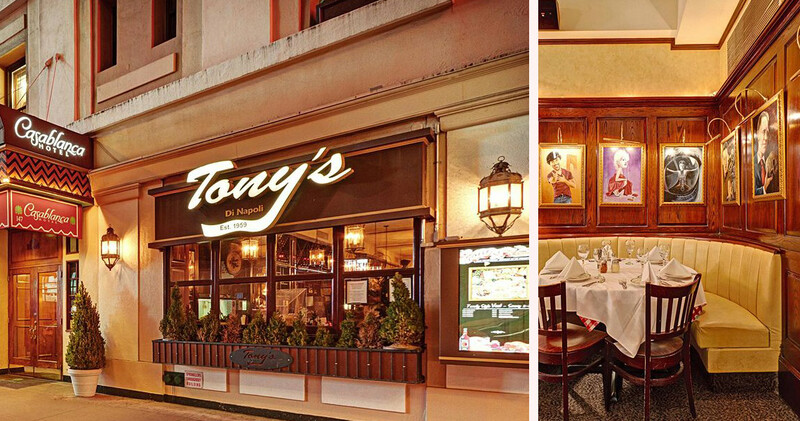 Additionally, Tony’s di Napoli Restaurant serves family style Italian food in a traditional setting. 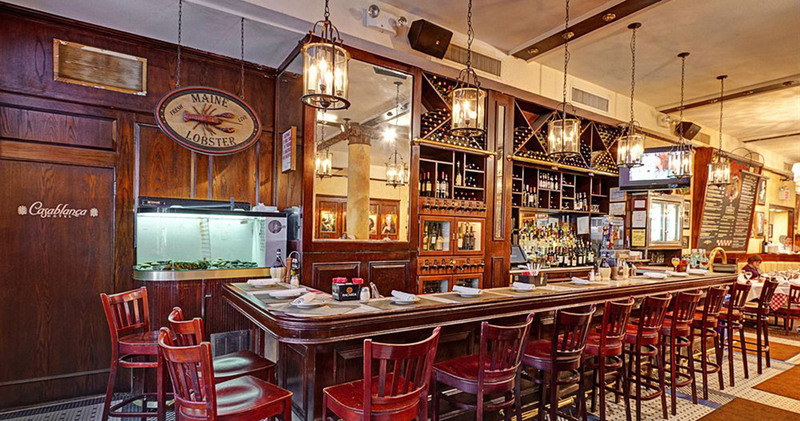 Along with an extensive wine list, the Mediterranean-inspired decor features red and white checkered tablecloths and intimate booths. Times Square is one of the world's most well-known commercial intersections, a bright and exhilarating neighborhood that is always buzzing with action. The area is known for its bright billboards, megastores, theaters and dining. Times Square provides visitors easy access to legendary theaters like the Radio City Music Hall, New Amsterdam and the Lyceum. Dining is a sensory experience in itself at Times Square with restaurants like Bubba Gump Shrimp, ESPN Zone and Ellen's Stardust Diner. Megastores like Toys R Us, Hershey's and M&M World and attractions like Madame Tussaud's and Planet Hollywood provide visitors plenty of options to explore and experience.